Dual Rear Cameras with similar and different resolution, an UltraPixel Camera: if you thought you have seen it all, then let’s jog up your memory and remind you that there is a Dual front facing cameras smartphone as well. And Lenovo claims to be the first to introduce that. 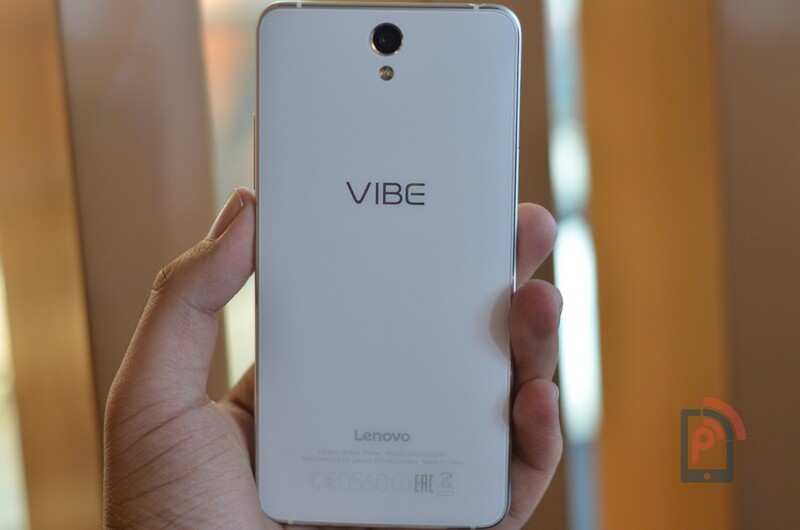 Originally, announced during the IFA Week in Berlin this September, the Vibe S1 has been launched in India today. The Chinese manufacturer who now owns Motorola’s mobile business is aiming the position in the country in the smartphone industry. We had the chance to spend some time with the latest premium mid-range device from Lenovo. 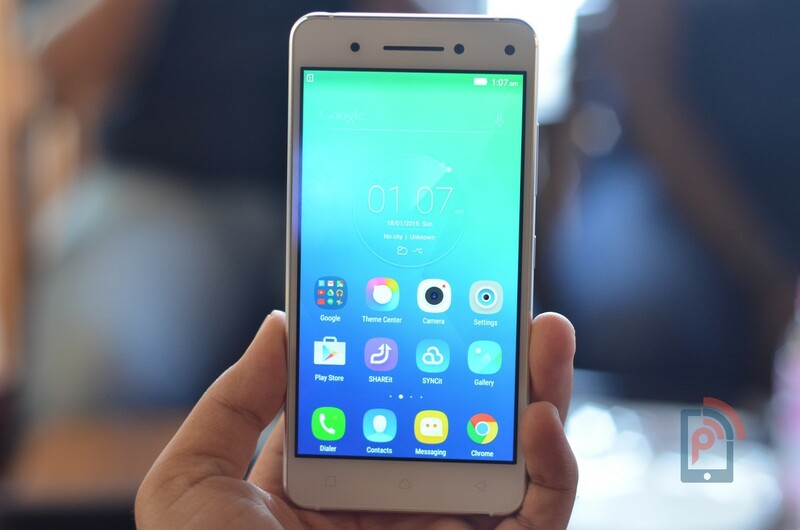 Here is our hands-on and the first impressions of the Vibe S1. The foremost thing here to notice on this device is that it was created by keeping the focus on the design part. Sporting a Corning Gorilla Glass 3 on both; front and back sides, the Vibe S1 takes the design cues from Samsung Galaxy S6 and Apple iPhone 6s. The device comes in two colors: Pearl White and Midnight Blue. I liked the white variant; the reason for that is just looks more premium if you put these two colors side-by-side. Again, it’s a personal choice. Before we move to the talk of ports and buttons placements, I just want to address its craftsmanship. The Vibe S1 is said to be crafted with Glass over its metal body, and the round shape back side makes it comfortable to hold the device in one hand. Though, I would say it its quite slippery, but is not fingerprint prone like Galaxy S6, which is a good thing. The right edge houses volume and power keys while the left edge has a tray where you can place microSD card and SIM card. The top edge houses 3.5mm audio jack and microphone while the bottom edge houses dual speaker grills and a microUSB port. On the front, you have the minimal bezel display, below that is the capacitive buttons, which, unfortunately, doesn’t have LED backlight. Above the display, the setup includes sensors, earpiece, a Dual front facing camera module, where one is of 8-megapixel and another one is of 2-megapixel. On the back, there is a 13-megapixel camera module sitting on top center, below that is the LED Flash. Coming to the display part, the Vibe S1 sports a 5-inch IPS screen with 1080p resolution, which counts up to 441 PPI Pixel density. This is not Super AMOLED display, but you get best color tones and white balance you can get on an LCD. You can use it for video streaming anytime, anywhere and you’ll like what you see, as the viewing angles are pretty fine. In terms of the performance, we can’t rate it much as we are yet to sue the device as a daily driver, but in the short time we spent with the device, it didn’t lag while playing games and multitasking was smooth. The device is powered by a MediaTek MT6752 processor, which is quite a performer in mid-range devices. The same chipset is present on Lenovo’s K3 Note as well as on few other handsets: Gionee Elife S7, Sony Xperia C4, Xperia C5 Ultra, HTC Desire 820s and more. As our past experiences with this chipset were good (except K3 Note), we would very much recommend it for a daily drive. But just in case, you should wait for our detailed review to come out. Moving to the USP of the device, the dual front facing camera module, the 8MP + 2MP setup allows the device to create some stunning shots, thus utilizing the full hardware capabilities. The first thing that this setup offers is the more depth field to the captures, which results in replicating the human binocular vision. It means that you can add “Bokeh effects”, or blur the parts by focusing anywhere on the selfie. Lenovo expands the horizon and has given tons of features in its camera UI, which is quite clean despite heavy options. The “Cut Out” feature is one of the interesting parts, where you can crop out the people from their selfies and then placed on any other image, thus making it looking you’ve taken the picture at that venue. It has a nice in-built photo editor, which makes editing such photos easy. We took some selfies and liked what we saw. The rear camera on Vibe S1 is of 13-megapixel, and our first impressions of it are quite good. It is on par with other 13MP camera handsets. We would be posting a detailed camera review of the same, where you can know more about the camera as we will post samples. Last but not the least is the battery aspect; we thought the 2500mAh battery capacity is quite low when compared to what companies are offering these days. Despite the small compact size, Xiaomi Mi 4i has a 3120mAh capacity while Vibe S1 has quite low battery capacity. Meanwhile, there is one thing that compensates the low capacity battery; it is the support of fast charging. Though, it is too early to comment on the battery life of the device; we would know if it can last for a day or not once we use the device as our daily driver. Our initial thoughts about the device are that it has got everything one needs on a mid-range but does lack in some points, which we would only able to explore in near future. Although, one thing is sure, you won’t get a premium build like this on any other mid-range smartphone. Stay tuned for our camera and detailed review of the Vibe S1.